Dr Dyan, but the Bishop rejected what the cable sad. That is most Heartening information, that Cardinal Ranjith has backed his Excellency and I am confident the president would have no reluctance in demonstrating as His Worship has declaredm being himself a Human rights activist of yore (circa 1988). Not too long ago. Rejecting the remarks as ‘baseless’ and ‘false’ a Spokesperson from the Archbishop’s ofice, Rev. 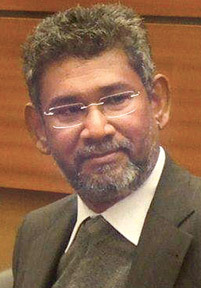 Father Benedict Joseph told The Sunday Leader that this was not the first instance where the Archbishop’s name had been misused and denied the contents of the leaked cable entirely. Cardinal has shot some lose cannon balls about in the past. Either this archbishop does not know his onions or he was under another threat to say something to get Mahinda off the hook or else- the white vans with no identifications. 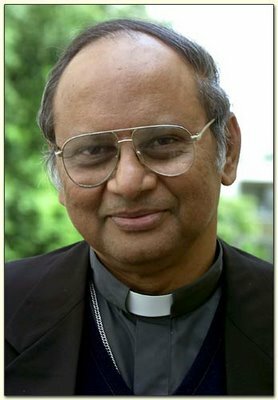 Good Lord this Cardinal should just mind his damn business and do God’s work not politics.What does it matter to him if we get GSP plus or minus.Jesus came to save souls and wanted every Christian to spread the Gospel and here he is suposedly the head of the Catholic church in Sri Lanka getting involved in politics.And how he goes on to state that the first lady is a Catholic.So what? ?She is seen most f the time worshiping at Temples.Malcolm Ranjith you are a hypocrite ,I do not know what you will tell Jesus when you reach the otherside.Please go away.I have lost all love for the catholi church after you became cardinal.I am baptised a catholic and have genarations of catholics .You are just a disgrace to the Catholic church.Dont you have the guts to ask the President what the truth is ,what happened in the last days of the war.Or you know jolly well what happened and you are covering up a crime. I am sure you will be welcomed into the kingdom of God!!!!! Dayan is a intellectuality dishonest man like is farther regardless his interpenetration is about himself. 1. Would ambassador Butenis’ other cables imply same sincerity? She can’t be biased in one and unbiased in another? There are lots of cables right? Hi! Dr.Dayan Jayathilleke we can’t understand what are you speaking.